This is the perfect gift for any police family who is expecting a little one or someone who is becoming an officer. 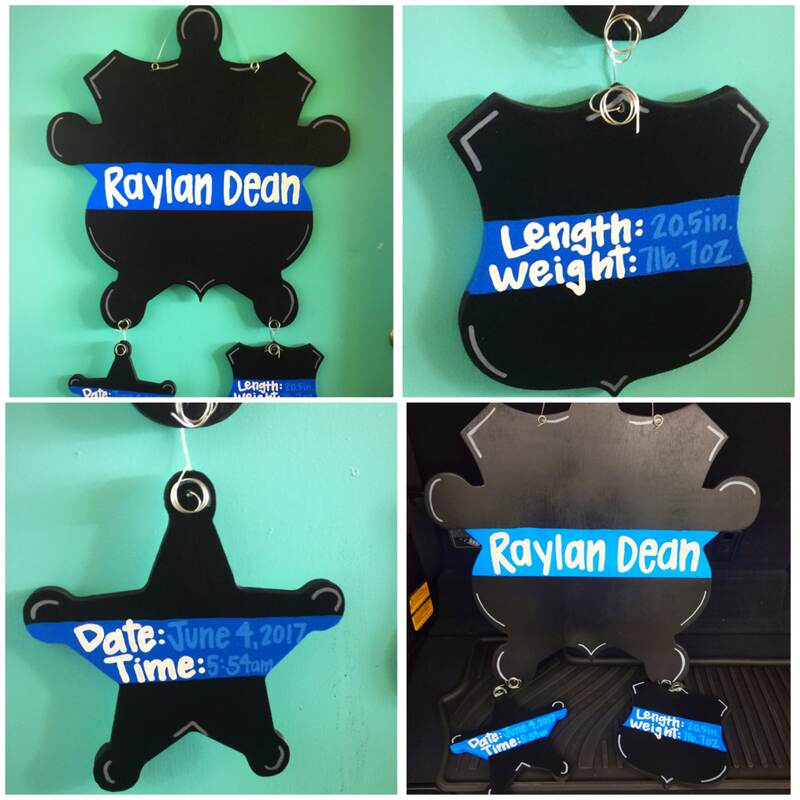 This customizable piece measure 24" tall and is customized with either a sheriff star, police badge, or a combo of both. You pick the wording and design! Put the detailed information you want in the notes to seller box upon check out.